MyCockpit.org - "Pilot to Co-pilot"
As you know, pilots use headsets in the cockpit to communicate with air traffic control and other ground-based stations for weather, navigation, and up to date information vital for safe air travel. Another use of the headset is to communicate clearly with other members of the flight crew through the intercom function. Aircraft engines and other systems generate a lot of noise which can make it difficult to hear in a busy cockpit, and during approach there can be a lot of sound; gear, rain, engines, wind, flaps, callouts, etc. A headset, depending on the style, can serve two purposes. First, the earpiece reduces the noise transmission into the ear and second, it delivers the communication from the rest of the flight crew directly to the ear. 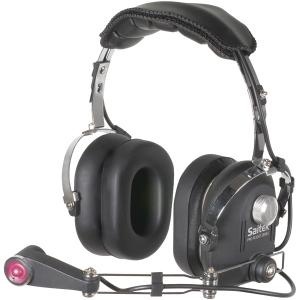 This increases the communication quality in the flight deck since it is much easier to misunderstand commands from the other pilot or ATC when not wearing a headset. Some airlines actually require flight crews to wear their headsets when below 10,000 feet. Simulating an intercom system between flight crew members can be easily accomplished. 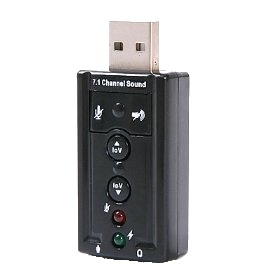 All you will need is 2 audio splitting devices like the ones pictured below. I have not listed any size because your sound card and headset plug sizes may vary. Next you will need a means to connect your two headsets to your PC. 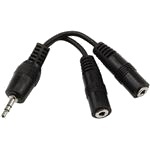 Using an adapter like the one shown below will help supply the necessary voltage to run both headsets. 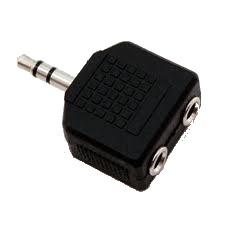 Since headset jacks are designed to deliver a specific output level you may find that this option works better because it can draw the needed voltage from the PC directly. 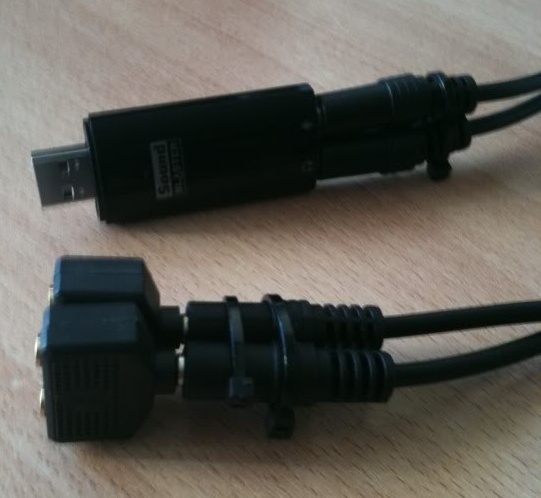 The last piece of equipment you will need is a cable to connect the USB device to the splitter device. 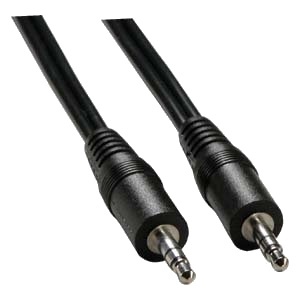 The cable should be long enough and have the correct connectors to meet your needs. Tie-wrap it all together and it should look something like the image below. After you have connected this to your computer you may not be able to hear each other through the headsets even though you hear sound. This can be fixed by an audio setting in your soundcard’s software. Through your computer’s control panel, select audio devices. Begin by navigating to your computer’s control panel. 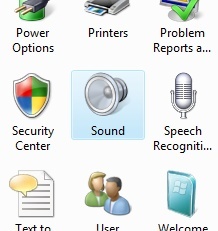 Next, double click the sound/speaker icon. Select the properties button in the lower right of the pop-up window. Select the “Levels” tab. Your settings may be different, but the goal is to locate the audio playback settings of your sound card. 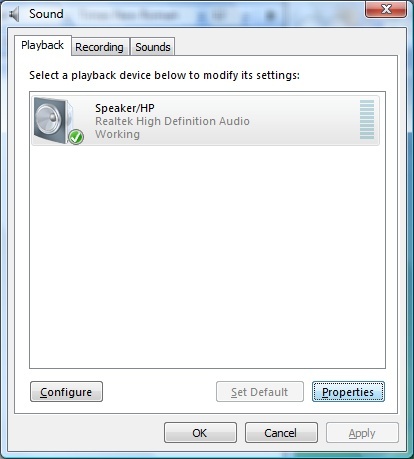 In this example, by selecting the speaker icon next to the microphone area, you will be able to hear whatever sound is picked up by the microphone through the speakers or in this case, the headset. 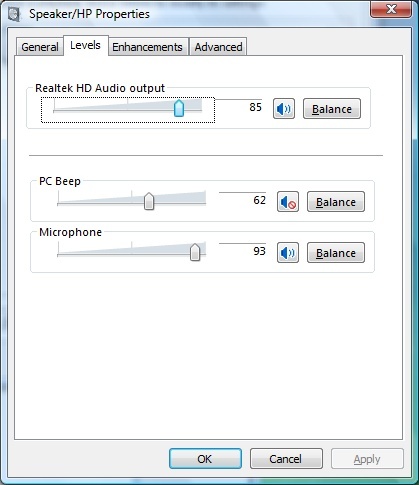 Now when both headsets are connected, the computer “sees” them as one headset and any sound picked up by either microphone is heard in the both headsets at the same time. This article was created with information from the following members. They are the true “authors” of this information.